Harvinder S Dhaliwal : Harvinder S. Dhaliwal came to USA in 1962 with B.A. Degree in Mathematics from Punjab University, and received Bachelor's and Master's Degrees in Electrical Engineering from the United States. Worked as a Professional Engineer for more than twenty-five years. At present, he manages his own businesses along with his two sons. He maintains a keen interest in Sports. 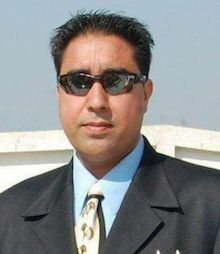 Rajinderpal Singh Dhillon is a -post graduate of PAU. He currently resides in CA with his wife, a daughter and two sons. Mr. Dhillon is a businessman and also own a farm in CA. 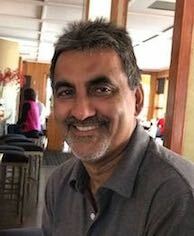 Mr. Dhillon was prominent Field hockey, Handball and Track & Field player who represented PAU hockey and Handball team in All India Inter University Championship as a captain in 1981. Gurcharan Singh Mann holds a degree in Economics and engineering from Punjab, India and the United States. He came to USA in 1982 to join his wife Kashmir. He is a professional insurance and financial services agent and manages his own business in Fremont California. His agency serves insurance and financial services need of California consumers. He is serving on the redevelopment and relocation agency commission in the city of Fremont. He has keen interest in sports and other community development projects. He and his wife run few marathons each year to raise funds for cause. He lives in Fremont with his wife, daughter and two sons. Rana Kahlon came to USA as a child. After holding an executive position in Fortune 500 company, Rana now is a multi-unit Franchisee of a very successful company. He holds very keen interest in sports and community services. Rana Kahlon resides in California with his wife and two children. Lachman Mangat came to USA from Uganda in 1970. He graduated in 1975 and received Bachelor's in Electrical Engineering. He worked in high tech for 26 years and was fortunate to be involved in 3 different start ups. For the last 10 years, Mr. Mangat has been involved in business along with his wife and son. He has always been involved in sports and has been playing Tennis for the last 45 years. Mr. Mangat resides in California with his wife and three children. Mr. Bhupinder S. Parmar has graduated in Electrical Engg. He resides in CA with his wife and two sons. Both of his sons are involved in sports. Mr. Parmar is a businessman. He is currently the treasurer of Gurdwara Sahib, Fremont. He enjoys doing community service. Robin Singh has a Bachelor's in Commerce. He is currently working at Washington Mutual and has managed diverse departments over the span of 12 years. He is an avid cricketer and enjoys all sporting activities. He is currently the President of East Bay Cricket Club which is part of the Northern California Cricket Association. His goal is to make sports an integral part of our community for all ages with a belief that healthy body leads to healthy mind. Hardeep Singh Aulakh has a Bachelor of Computer Science and Engineering degree. He taught one year as a lecturer in engineering college, spent 3 years in high tech industry in India and 6 years in high tech IT industry in the bay area. He now has his own business and lives with his wife and two sons in the bay area. Originally an Electrical Engineer (G.N.E.1982) and transitioned into multi unit Subway entrepreneurship. He has been residing in California for 24 years with his wife and children and enjoys participating in tennis, basketball, golf and community events. He was a member of GNE Basketball Team and believes in connecting many Sikhs into sports.